Know all the details information about West Bengal Primary TET 2015 examination. WBBPE board organised TET examination. Get step by step form fill up process and application process for WB Primary TET 2015. Details information about eligibility criteria & admit card download issue for last year candidates. Know more info about the changed syllabus for Primary TET 2015. Keep reading this article. West Bengal Primary Education Board (WBBPE) recently published an notice about requirement on Primary Teacher post on various primary schools in West Bengal. The Primary Teacher Eligibility Test (TET) 2015 will be organised for this requirement. On 25th May,2015 a noticed published by WBBPE Board. The memo number of this notice is 673/BPE/2015. Nearly 50,000 vacancies will be filled up by this TET examination. Non trained candidates are also eligible for TET 2015 examination. Candidates who passed the Higher Secondary (10+2) examination with minimum 50% marks or passed the Graduation degree from any University are eligible for Primary TET 2015 examination. 5% number relaxation for SC, ST, OBC, PH category can candidates. The candidates must have to pass the required educational qualification within 25th May,2015. The D.Ld or D.Ed training for teaching on primary school is not mandatory for this TET 2015 examination. Non trained candidates are also apply for TET 2015. Candidates who applied for TET 2012,but not qualified on it are apply for TET 2015 without paying the application fees. For that they must have the acknowledgement receipt of TET 2012. They can apply for this TET examination with the help of their this receipt. Candidates who were applied for TET 2014 by depositing the application fees (Rs. 100/-) on UBI bank are also apply for TET 2015 without paying application fess once more. For many reasons the Primary TET 2014 was postponed. But candidates who paid the examination fees on UBI bank branches, can download their admit card on this website, http://wbresults.nic.in by putting the journal number and deposit date, which mention on the UBI deposit slip. Candidates who are currently studying or continuing their D.Ed course are treated as a non-trained candidate for Primary TET 2015 examination. New application form for TET 2015 examination available from 29th June,2015 to 4th July,2015 from some selected branch of UBI bank. The application form price Rs.100/- for general category and obc students. And Rs. 25/- for SC, ST, PH candidates. You may visit the official website of West Bengal Primary Education Board for more details, www.wbbpe.org this is the official website. This year Primary TET examination question paper and syllabus will be organised by National Council of Teacher’s Education (NCTE). There is no official announcement abot the total vacancy on schools. But nearly 50,000 vacancies will filled up by this TET 2015. The TET 2015 examination may be held on 11th October,2015. Application date and other information not published yet from Board. • West Bengal Primary TET 2015 exam special Tips & Suggestion. 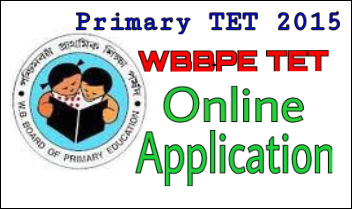 • Download WB Primary TET 2015 Suggestion and questions. Candidates who score 60% are passed the TET examination, i.e, the cut off marks for TET examination is 90. Who score this marks are eligible for next step. 5% marks relaxation for S,ST, OBC and PH candidates. If you have any query please post it on comment box we will try to help you at our best. For more details update information keep visiting our site and visit the official website of West Bengal Primary Education Board’s website. Candidates who were applied for Primary TET 2015 exam from UBI bank on this year, can know their examination centre on the official website of the West Bengal Primary Education Board. By entering the roll number students can check their examination centre and take print it out. Hello Rohon, there is no any way to download the primary TET admit card for TET 2014 applicants. As the admit card download date is over so WBBPE board close the downloading link. You may contact yo the board or apply freshly. admit card printing date is over so how can i get my admit card? Yes I already apply for this by my diploma. When I fill up the form the bank manager tell me diploma is equivalent to higher secondary since. Some day ago I call west Bengal technical education board they tell me that diploma is not only equivalent to hs its much more than hs. But when I call primary board I don't get any respons of them nobody recieve the call. So please help me what I do? Did you apply for TET 2012 exam ? If yes then you can apply for TET 2015 through your your previous admit card. The equivalent of HS is may be 10+2 from other state board or from cbse or icse board. You may contact to the wbbpe board or wait for the new notice. AND I AM THE CANDIDATE OF 2012 NOT 2015. SO WHY NOT I ELIGIBLE. BECAUSE WHEN I FILL UP THE FORM THERE SHOW THAT CANDIDATE MUST HAVE HS OR ITS EQUIVALENT. THEN TELL ME WHAT IS EQUIVALENT TO HS? ACTUALLY I DONE DIPLOMA IN 3 YEARS UNDER WEST BENGAL STATE COUNCIL OF TECHNICAL EDUCATION WITH 76% AFTER COMPLETE MADHYAMIK. BUT I DONT HAVE HS. SO CAN I APPLY FOR PRIMARY? DIPLOMA UNDER WEST BENGAL STATE COUNCIL IS EQUIVALENT TO HS? PLEASE SIR REPLY ME? RESPECTED SIR, DIPLOMA HOLDERS CAN APPLY FOR PRIMARY? IT IS EQUIVALENT TO HS? Hello Abhijit, currently TET 2015 application started for the candidates, who deposited the fees for TET 2014.There is no new notice for fresh application or for TET 2012 candidates. Its may be done, that TET 2012 admit card holder candidates can download new admit card or may use the same previous admit card for TET 2015 examination. I am writing to you regarding TET examination. Currently, I'm holding 2012 TET examination Admit card. But I don't have 2014 TET admit card and acknowledge slip. Should I collect a new form for 2015 TET examination? Please let me know your thoughts on this subject. Hello Biswajit, West Bengal Primary TET 2015 application for fresh candidates may be started from first or second week of July. The application for previous year candidates going on. New application may be started after completing this. Is there any date published for application of Fresh candidates in Primary TET 2015? Hello Gulsen, according to the board notice, candidates who were submitted ₹100/- as the fees for TET 2014 are eligible to apply TET 2015 with the help of the deposit challan. When the application process will start you have to visit http://wbresults.nic.in site and enter your transaction number and deposit date then you can download your admit card by entering your details. More information will be available after publishing board notice.